EdisiViral : RM86 mln Labuan Halal Complex becoming white elephant? RM86 mln Labuan Halal Complex becoming white elephant? The RM86 million Labuan Halal Hub Complex which was allegedly not built according to specifications. LABUAN: The RM86 million Halal Hub Complex is said to be at risk of being declared as a white elephant project. The complex built on an 18-acre land in Kiansam consists of office building, warehouse complex, and a processing plant, but industry players alleged the warehouses were not built according to specifications. Although its principal goal is to stimulate and encourage the growth of halal industry in the country by providing halal warehousing, storage and distribution services from Sabah, Sarawak and overseas, none of the halal product manufacturers are operating in the complex. 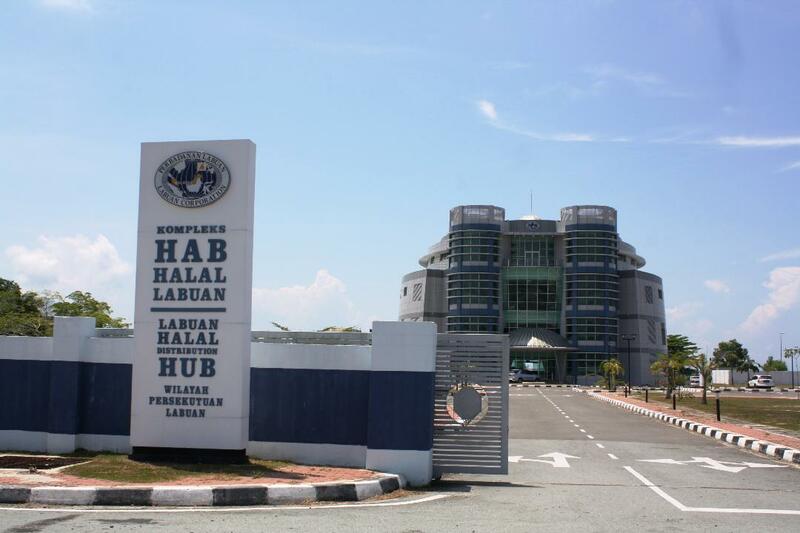 The complex, a cooperation project between Labuan Corporation and Ministry of Federal Territories, is being managed by Labuan Halal Hub Sdn Bhd (LHHSB) since November 11, 2011. The main goal of the LHHSB is to act as a global distribution centre for halal goods and services and to foster and promote halal standards, standardization and accreditation internationally. LHHSB aims to provide halal logistics and distribution services by providing warehouse, transportation, port, open yard that is compliant to the Malaysian Standard Halal Compliance. LHHSBs logistics policy is to define, develop and document process towards the establishment of the first ever Halal Quality Management System. It is said that Labuan Halal Hub was expecting a huge investment from China via a distributor that would deal with the islands dry marine food, which is currently waiting for Jabatan Kemajuan Islam Malaysias (Jakim) halal certification. Many industry players are of the view it would not materialise as there had been talk in the past about foreign players operating at the complex but none has been seen there. The Ministry of Federal Territories is concerned about the RM86 million Halal Distribution Hub, because it is being increasingly viewed as a “mega economic investment flop” of the island since it had failed to make a single export to domestic or local market. The ministry’s concern was well reflected when the former Deputy Minister Datuk Dr. J Loga Bala Mohan made a visit to the complex in 2014 and checked the facility and got a first-hand updated report on its operations. Chairman of MIC here Ramasamy Rangasamy, who accompanied the Minister at the briefing, had said the deputy minister’s mission was to find out the problems faced by the hub that were hindering its progress and the solutions to it. Ramasamy said he was told that a three-month deadline had been set for the hub to move ahead and possibly new investors would be brought in to breathe life into project. He said the ministry felt that there was great potential to develop the hub and make Labuan a centre for the export of processed halal-compliant meat such as beef, mutton, fresh fruits and vegetables to Japan, Taiwan and Korea. Labuan could secure the supplies of such products from Sabah and Sarawak. The halal-processed products could also be supplied to offshore platforms and supply boats as there was a growing demand for such items these days. The ground-breaking ceremony for the hub was made by former Prime Minister Tun Abdullah Ahmad Badawi in 2009. The first phase of the project was completed in 2012 after the Audior-General’s 2011 report criticised it by stating it had caused the loss of millions of ringgit by remaining idle and having no competent management team. Despite the new attention given by the ministry on the status of the hub many fear that whatever action taken it would be challenging for the Labuan Halal hub to achieve the desired level of success. This is due to the high cost of logistic support in Labuan compared to hubs in other zones. For instance the facility in Tj Manis in Sarawak is sprawled on 77 hectares which was almost three times the size of the Labuan facility. The Tj Manis hub had also lured high-spending investors from Taiwan, namely Sea Party Group. It requires much effort for the Labuan hub to catch up.